An interactive program for group and individual instruction. 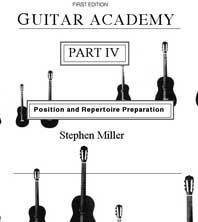 Guitar Academy brings together all the elements of reading, ear training, technique and style in an interactive format that includes attractive works in the form of solos and ensemble pieces. 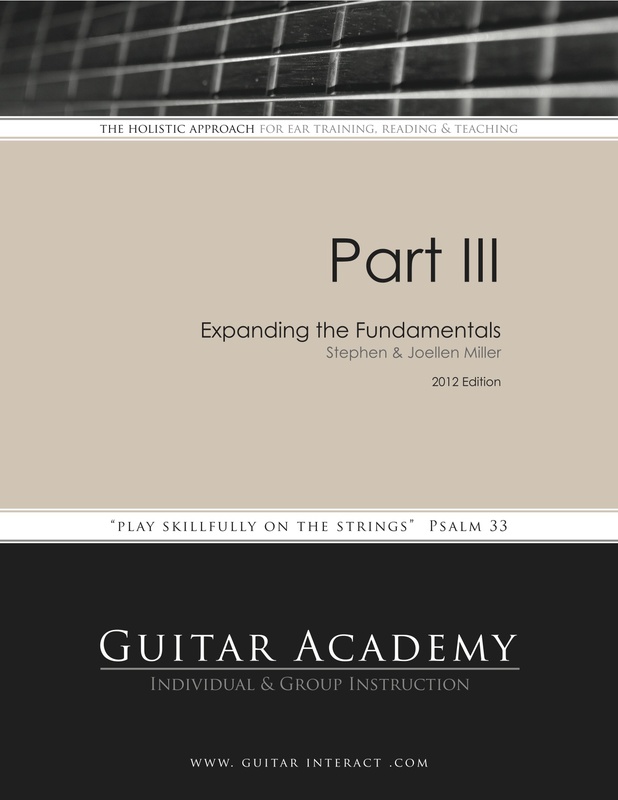 Each level is user friendly and includes a chord supplement and a practice CD. Each book includes focused exercises, solos and ensemble pieces in various styles in classical and folk, as well as a blues piece in each level. 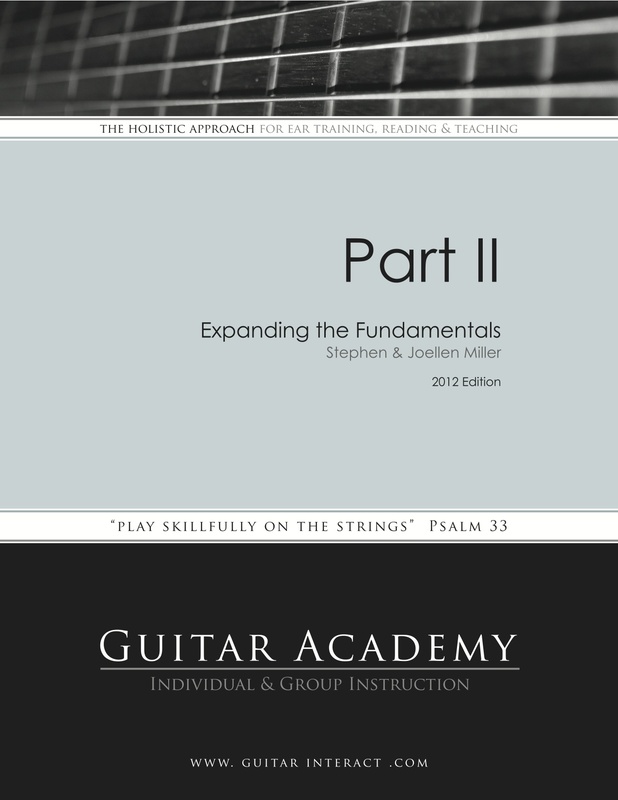 Learn the fundamentals of music integrated into the fundamentals of guitar. Learn solos, duets, trios in various styles: folk, classical, blues and more! Expands on Part I and develops left and right hand strength with music that is more engaging. Also includes duets, trios in various styles. Builds on Part I & II with greater harmonic and rhythmic richness. Introduction to alternating through string crossing pieces and strumming techniques. Music includes: Solos, Duos, Trios, Theme and Variation, Blues #3, works by Aguado, Guiliani and more. Begins to explore the fret board beyond first position. Prepares students for repertoire studies such as Sor's Study #5 in b min, Saltarello. Includes a Blues trio.